One of the things I love about blogging is getting to know other bloggers. Bloggers are a great community of people from all over the world who go out of their way to help each other. 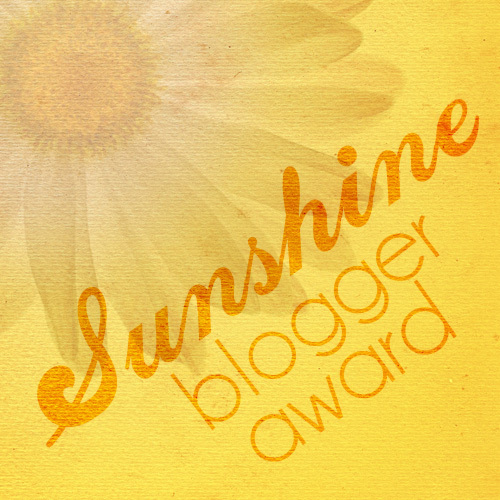 So I was really excited to discover that Bonnie of Lady Blogger nominated me for the Sunshine Blogger Award. I got to know the Lady Blogger website when Bonnie added her This Mom When to Comic Con! post to my recent St. Louis Blogger Link Up Party. Bonnie’s blog focuses a lot on parenting, so we write about different things. But one of the things I love about blogging and social media is getting to know people who you wouldn’t bump into while going about your daily life. So a big THANK YOU! to Bonnie for nominating me for the Sunshine Blogger Award and letting me join the fun! The Sunshine Blogger Award is a way for bloggers to get to know each other and also get other bloggers to link to their website (very good for SEO!). All of that is good for me, but I also saw this as an opportunity for me to share with all of you a little more about me…so here we go! Acknowledge the nominating blogger with a link to the website. Thanks Bonnie! Share 11 random facts about myself by answering the questions the nominating blogger has created for me. Post 11 questions for the bloggers I nominate to answer. 1) What’s your favorite childhood book? A Taste of Blackberries by Doris Buchanan Smith. I discovered this book when I was a camp counselor at Sherwood Forest Camp, and read it to a few groups of kids as their bedtime story. I know this sounds depressing, but it’s the story of a child who’s best friend dies suddenly from an allergic reaction and how that child copes with it. Wonderfully written. 2) Who is your favorite author right now? I have to admit that I don’t read a lot currently. I hate admitting it, but it’s true. I don’t have a single favorite author. I’ve been reading a lot of light romances…I really should get back to reading novels again. 3) When did you know you were going to be a blogger? I’m a real estate agent who was working for a company who provided me with all of the clients I could handle. 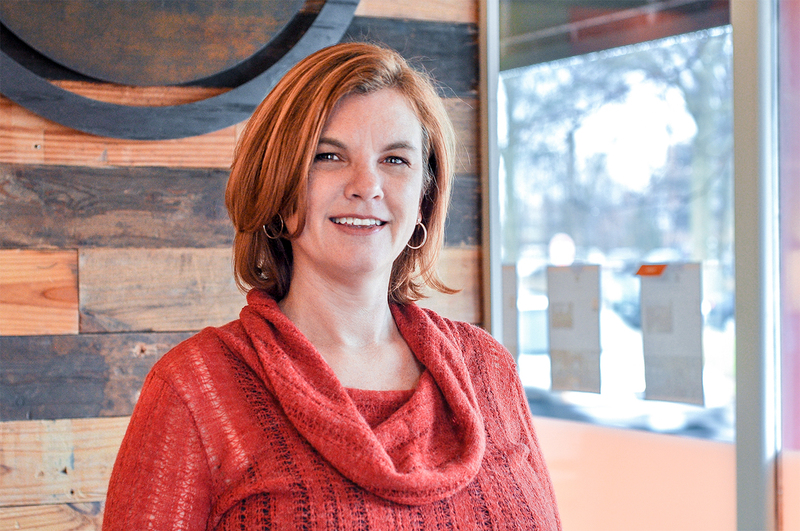 When I left that company, I knew I needed a website and to start finding clients of my own. As I spent time on my first website’s forum to learn how to set up my website correctly, I kept hearing about this thing called blogging. It was 2007. It wasn’t long before I decided I had to have one to build my business. It’s been 6 years and I can’t imagine not being a bloggers…it’s become part of who I am. 4) Do your kiddos help you blog? I don’t have kids…so the answer to this one is a big fat NO. 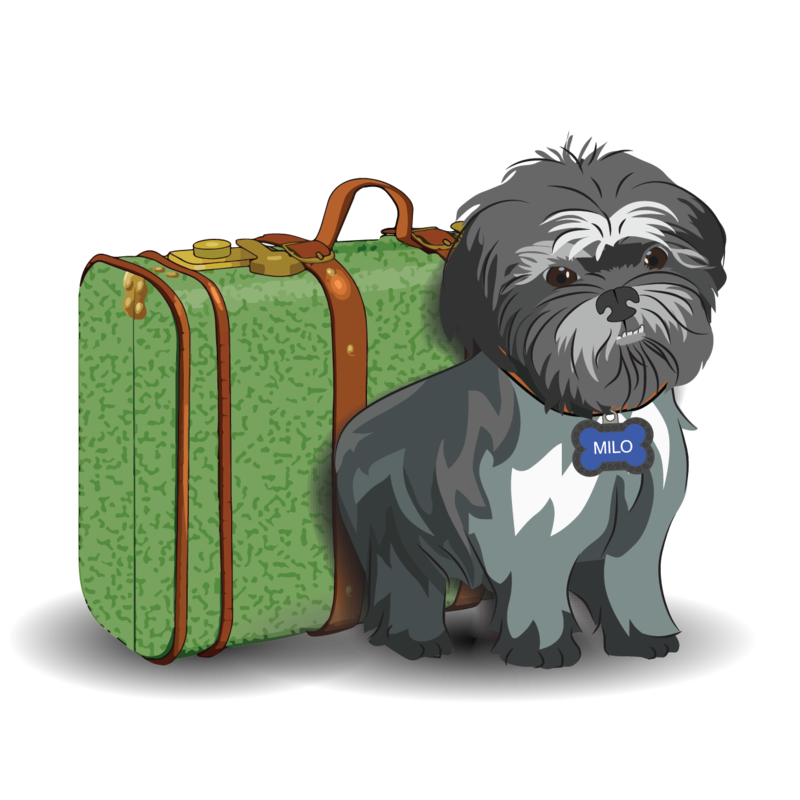 Though my baby Milo (my dog) has been the subject of a few blog posts. 5) What is one personal item you’d take with you on the “Survivor” TV show and why? First of all, I would NEVER go on a reality show, let alone Survivor. But if I did, I think it would be a lighter. Everything is horrible when you are cold and wet. 6) Name your favorite reality show. Chopped. I love cooking, and I love watching the contestants come up with creative ways to use weird ingredients. I try to do that myself when my pantry gets low. I even wrote about it recently in an attempt to encourage people to give me recipe ideas to use up my old green split peas and the tin of sardines I bought after leaning Alton Brown said they are so good for you. 7) What is a favorite song on your iPod right now? I don’t have an iPod, but I do have iTunes that I listen to mostly on my iPad when I’m traveling. My my favorite probably is Marc Cohen’s Walking in Memphis. 8) Do you speak any other languages? Which one(s)? A little Spanish. Not very well, but enough to order a meal at a restaurant in Chetumal, Mexico where no one speaks English. 9) What do you want your child to be when s/he grows up? Again, no kids. But if I did have them, I would just want them to do something that they love but would still support them enough so they didn’t have to struggle. 10) What does the child from #9 want to be? Hmmm…what would my imaginary child want to be? 11) What is something you’re looking forward to? My next European vacation. I guess I need to start by finding someone to go with me! My nominees are a combination of bloggers I have gotten to know in real life and now consider friends, social media blogging friends, bloggers who joined my St. Louis Linky Party and even a former real estate client. They write on a wide range of topics including family, fitness, food, travel and daily adventures. Can you guess who writes about farming without clicking the links? Now click through to check out all of the blogs and find our cotton farming fanatic. If you weren’t nominated I would still love to learn more about you. Answer any of the questions below in the comments. If you go for #11 so you can post one of your blog posts with us, please answer at least one other question too! 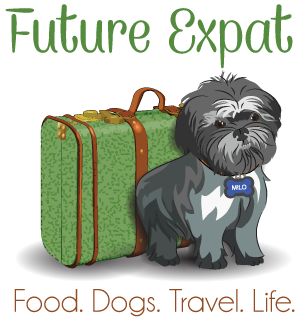 My questions cover the things that I write about most here at Future Expat – travels, home improvement, food, health and pets. With a bonus question which lets the bloggers who are gracious enough to play this game share one of their favorite posts. Where is the favorite place you have gone on vacation? Where was your favorite childhood vacation? If you could live anywhere in the world other than where you currently live, where would it be? What do you wish you could change about your home? What is the next home improvement project on your list? What is the one recipe that you get asked to bring to family dinners or potlucks? What is the last meal you cooked at home? What is your favorite thing to order at a restaurant? Share one of your favorite getting healthy tips. Do you have pets? If so, tell us about them. Share a blog post you wrote that meant a lot to you and tell us why you picked that one. I love this creative award! It’s always so interesting to learn more about fellow bloggers. I loved reading and learning more about you! 10. Do you have pets? If so, tell us about them. We do mostly reviews and giveaways on our blog but this review was pretty special to my son http://www.giveawaybandit.com/richard-petty-driving-experience-junior-ride-along-kansas-speedway/. He had so much fun! Also, our travel reviews are always special because we get to see so many new places. Melanie – Wow. You DO have a lot of pets! How does the puppy get along with them all? thanks for the nomination! 🙂 my favorite childhood vacation was houston because that’s where my cousins lived and we used to travel their every summer for a visit – so fun! Thanks for the mention! I just got my post up and have to admit it was pretty fun to answer the questions you asked and to make up my own questions for others! I hope my leaving a comment here doesn’t take the adventure out of folks checking out all those great bloggers looking for some cottony goodness! You have to be nominated in order to nominate others. I nominated you for the Liebster award..
What a wonderful idea this is. No6. Carrot salad and white chocolate strawberry cheesecake they keep bugging me for the recipes but I’m keeping them a secret for a bit longer!